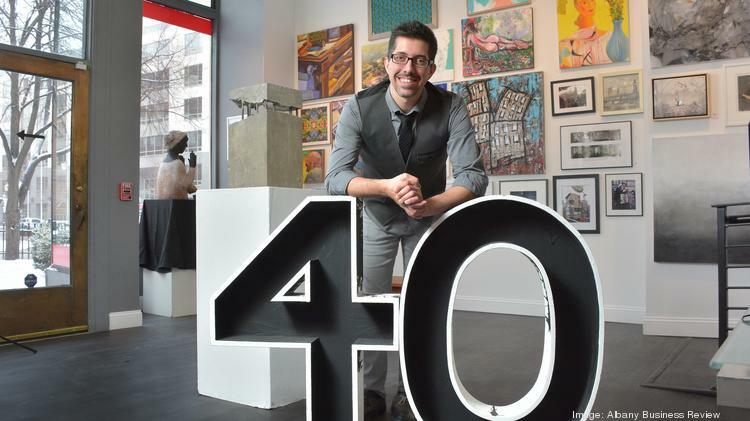 Tony Iadicicco is a central, dynamic part of the Capital Region arts community, and has served as Executive Director of Albany Center Gallery since April, 2012. He’ll discuss the Gallery’s four-decade-long history and its plans for the future at the Albany Roundtable luncheon on THURSDAY, March 9 at the National Register-listed University Club, 141 Washington Avenue at Dove Street in Albany. The meeting is open to the public. Albany Center Gallery is a non-profit art space dedicated to exhibiting skillful contemporary art of the Mohawk Hudson region, and building a strong, knowledgeable audience for the visual arts. The gallery recently moved to a new location in Albany’s historic Arcade Building at 488 Broadway. They are a community-based organization supported by city, state, corporate and foundation funds, as well as fundraisers, individual donations and memberships. The cost for the luncheon is $20, which may be paid at the door. The Roundtable also offers its guests the option of paying in advance with a credit card at www.albanyroundtable.com. The University Club will serve a hot and cold buffet from 12:00 noon to 1:00 p.m., with the program commencing at 12:30. Reservations for the March 9 luncheon are required by Tuesday, March 7 and may be made by prepaying online, by calling 518-431-1400 (the Capital Region Chamber of Commerce) or by sending an e-mail to albanyroundtable@yahoo.com. Hey that seems nice. I also need to find spacious corporate events Chicago but I had limited budget so had hard time finding right locations. One of my friend suggested using Eventup.com and it was truly an amazing site. I got a lot of venues as per my requirements. This article so interesting to read!